The Premium Half Moon Wall Shelf is the perfect addition to any game room. This uniquely crafted shelf is easy to install and doesn't take up too much space. The convenient cutouts for up to 4 pool cues eliminate the need to lean a cue up against the wall. When a traditional pub table wont do, this affordable option is versatile and looks great too. Available in Mahogany and Walnut finish, perfect for any decor. 180-Day Limited Warranty. The ClosetMaid Impressions Corner Shelf Kit is designed to provide additional storage between 4-shelf organizers or closet kits. It can be offset between 2 closet towers to make the best use of often-overlooked corner space. Stack several to hold shoes, sweaters, T-shirts or accessories. The shelf features a premium, embossed chocolate finish and includes additional decorative moulding for a complete custom look. Cubbi Shelf Set includes 3 open wood cube shelves of various sizes in rich wood-like finish. These cubbies can be easily mounted on the wall to create an interesting accent to any space. The various size cubes - from small to large will hold from 2, 3 and 4-Pounds, making them both stylish and functional as well. Nesting Shelf Set includes 3 open wood rectangular shelves of various sizes in rich wood-like finish. These shelves can be easily mounted on the wall to create an interesting accent to any space. The various size cubes - from small to large will hold from 2, 3 and 4-Pounds, making them both stylish and functional as well. Avenue Rectangular Wall shelves will add the final touch to your room setting and complete it with additional decorative storage. Sold in pair (2 units), organize your Avenue wall shelves in any way you like to create your own personalized home decor. Avenue Collection from Nexera offers an urban and modern look for the bedroom and the family room. It can be paired in many different ways with Blvd Collection items to create 2-tone settings (check out Traffic Collection). 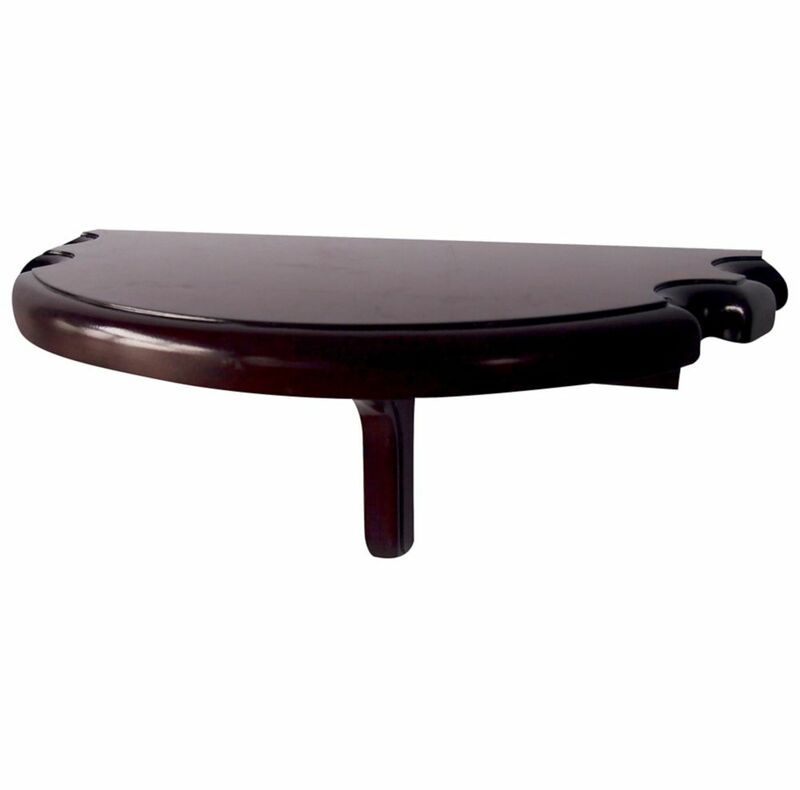 Premium Half Moon Wall Shelf - Mahogany Finish The Premium Half Moon Wall Shelf is the perfect addition to any game room. This uniquely crafted shelf is easy to install and doesn't take up too much space. The convenient cutouts for up to 4 pool cues eliminate the need to lean a cue up against the wall. When a traditional pub table wont do, this affordable option is versatile and looks great too. Available in Mahogany and Walnut finish, perfect for any decor. 180-Day Limited Warranty.